There is a great difference between the modern gurus and the older ones, and that is an understatement. Their hands are also very different. I have studied like that of Sri Sri Ravi Shankar (born 1956), Sathya Sai Baba (born 1926), Swami Ramdev (birth year unknown but he couldn't be older than sixty), “Bhagwan” Osho Rajneesh (1931-1990) and Swami Nithyananda (born 1978). Keen as I am to analyse the hands of the earlier gurus, hardly any of their hand photographs are available. 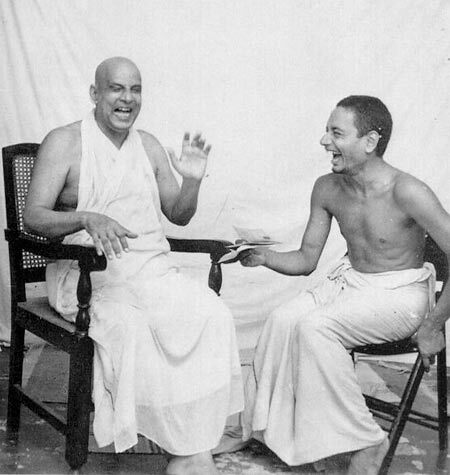 Last week a reader requested me to read Swami Sivananda's hands. There were some blurred black and white ones available but nonetheless I decided to write whatever little I could see from the photographs. Swami Sivananda Saraswati of Rishikesh (1887-1963) is revered by many, and his disciple Swami Chidananda (1916-2008) is too. I came across a fairly good photograph of the hands of Swami Chidananda. 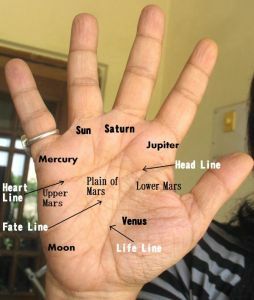 Sivananda's broad palm, large hand, straight fingers, pronounced knots, large low-set thumb, a high and large Mount of Venus and long Mercury finger were visible. The stronger these signs, the more intense the reading. His thumb, for example, is not just a little above average in length, it is extremely long. This means that his leadership qualities are very well developed. Such thumbs are rare and belong to people who have tremendous self-control (and this is borne out by the shape of Sivananda's hand as well) and have the ability to control others. They are ruled by the head and are extremely strong, determined people. They are independent thinkers. These qualities make them natural leaders. There is a strong purpose behind their will, a purpose to do good for humanity. They put others before self and they do so because they have a huge amount of love and compassion within them. It is a love which encompasses all living things. The other signs on Sivananda's hand show his broad thinking (again far above normal) which eschews pettiness and narrow-mindedness. It tells you that this man was thoughtful and analytical. A man who was able to see the details as well as get the larger picture. One cannot help but wonder: Would Sivananda have become a great saint if he had been born in modern times? Or are our times so corrupt that even good men turn into materialistic beings? If not, then where are the great saints who are alive today? There is some similarity in the hands of Sivananda and Chidananda. Chidananda also possesses very broad and very large hands, and a very long low-set thumb. Thumbs like these cannot be found even on the hands of famous or successful people. They are very rare. The qualities of the thumb that were mentioned in Sivananda’s case also apply here. This type of thumb denotes a strong character with a great ability and desire to do good. The possessors of such thumbs have limitless selfless love to give to all living things, and this tells you of a kind of greatness that is not commonly seen. Chidananda’s persona is a little different from that of Sivananda in the sense that Chidananda had great tact, cleverness in speech and more refinement. His third phalanges show that he was more ascetic and simpler than Sivananda, and far less interested in being honoured. He was not at all attached to the world of comforts. He is also a deeper thinker but Sivananda's hands reveal more charisma and magnetism of personality. Certainly, Sivananda was better able to accommodate different views and would, therefore, be a better leader. The Shirdi Sai Baba also had hands similar to the hands of Sivananda and Chidananda, but better. This enhances all the qualities. The real plus in Shirdi Sai Baba's hands was his profound wisdom, and this is unlike that seen on any other guru's hands. He was also more ascetic and simple. His love was amazing because it was a calm, serene love, of the kind that is without fire and passion but all-encompassing, understanding, and bottomless. If one compares the hands of Amma (Mata Amritanandamayi, born 1953) to the great saints of the past, they seem quite ordinary. There aren't any good photographs of her hands on the internet but what is clear is that she has an ordinary thumb. Osho Rajneesh's hands show compassion, wisdom and creativity, but his love was not broad enough to encompass all, and this was one of his greatest weaknesses. His hands show that he was manipulative, selfish and headstrong. Sri Sri Ravi Shankar's hands show compassion but the thumb also shows a headstrong nature and this takes away the balance from his personality. He is all too human. His Mount of Moon is out of balance if compared to his other mounts, giving him excessive imagination and sensitiveness. He has a love for a comfortable life as well. He may be a good and wise man with leadership qualities and a love to give people, but he is not like the ancient gurus. Swami Ramdev has a fairly good thumb, but his weakness lies in his too strong a desire to be rich and famous, as evident in his Apollo finger. Great quality in an ordinary person,but doesn't sit well with a guru. His hands show his humanitarian nature but his love is not all-encompassing enough. It is interesting to see that his left hand (inherited qualities) is better than his right hand. This means that when he started out he was a more perfect guru. In Sathya Sai Baba's case his right hand is better than his left, which means that he developed his personality for the better over the years. He was not born with a humanitarian outlook but he developed it. Overall he has an average thumb. His Mercury finger shows a certain cunning, and arrogance is also visible on his hand. His hands do not show a great personality, nowhere as great as the Shirdi Baba's hands. Swami Nithyananda has the most ordinary hands that I have ever seen on a guru. There is nothing remarkable about his hands. I do not see any particular love for people or humanity, nor strong willpower, nor wisdom. Hand readings of Spiritual Leaders from different parts of the world: including the Pope, the Ayatollah, the Dalai Lama, Mother Theresa and Indian Spiritual leaders like Mahatma Gandhi, Jaggi Vasudev (Sadhguru), Shrimad Rajchandra's hands or Swami Prabhupada of ISKCON. Such a pity that the real gurus are not the visible ones. The electronic media tends to hype and attract the "gurus" who like to be famous. I am sure there are good people out there we just need to search harder ourselves - just like in the old days. The true guru being an ascetic and simple person would not do what a Baba Ramdev did. I agree with you Anil. The good gurus are surely out there but known to few. Thank you for this great article and all of the readings you have posted. I just began reading Sivananda this year and I like his writings very much. I've always wondered about Osho and how much he changed later in his life. I'm also concerned about Amma and her intentions and sincerity from stories I have heard. Would this photo help you anymore? I would also like to know if you could do a reading of Yogananda and see how he compares to the rest. You are welcome Drew. About that photograph, well, it shows her hand from an angle which does not give the correct picture of the shape of her hand and fingers. Therefore a proper hand reading becomes impossible. I have been unable to get any good photo of her hand. About Yogananda, I will look for photos of his hand and lets see what I can come up with. I received Amma's darshan last weekend - there's only one word to describe it. Awesome! Her hand may be ordinary but she is extraordinary. All her info is available at amma.com, including several pictures.I don't think that any other organization has done so much to help victimas of recent calamities. I also subscribe to some of her publications which gives you a close look at how she operates.Looking forward to something on her. Padmini, I mentioned that her thumb is ordinary, not her whole hand. True, the thumb is very important but her thumb is not a bad one either. It is only when one sees her hand as a whole that one can come to an evaluation of her personality. Now that you have aroused my interest in Amma, I shall try and get more photos of her. Hopefully if I get a photo of her whole hand I will be able to do a reading. Interesting analysis Nita. Thanks a lot. BTW have you ever heard of U G Krishnamurthy? He was a famous antiguru who blasted all morden gurus like anything and in this process made lots of followers of his own. Although he never preached them anything cause he was of the opinion that all the guru- deciple thing is a crap. Interestingly UG (as he is lovingly known by his admirers) used to show his hand to all the people who claimed to know palmistry (he would have definitely shown it to u had u met him :-) ..I was wondering if u could provide the analysis of his hand. This is my earnest request to you. You are welcome Jaya. I have not heard of UG Krishnamurthy. Antiguru huh. Sounds wonderful! :) If I get photos of his hand he is on my list! Yes, it is interesting isn't it, the difference between the modern and the ancient ones! I will add those two you mentioned to my list and search for photos. The hurdle is that I often face is lack of good photos. That was why I could not do Amma. If the photos are available I'll definitely do the analysis. Hullo Prem and Om, Thanks for your comment. Hi Nita, Very interesting work. Can you post the hand profiles of Sri Ramakrishna and Swami Vivekananda.. Thanks Vinay. I have seen Swami Vivekanada's prints on the web. They seem genuine but the signature of the Swami on the print is forged. This is worrying, and that is why I have not analysed his hand photo until now. Maybe one day I will, once I can reconcile myself to the fact that the hand photo may not be genuine. When it comes Sri Ramakrishna's hand, I do not have good enough photos. Nita, Here you go. If you read the Gospel of Sri Ramakrishna, you see that he would actually hold the devotees hands or look at them and tell what kind of person they are.. He would say that by holding a person's hand you can read that person. I always used to be fascinated on how he could do that... With your detailed readings, we can get an idea. considering all the books he wrote (nearly 300) and the ashram he made and disciples he helped develop with many who went to the West to teach many people....I do consider Swami Sivananda a modern saint of the last century. He was and is a great inspiration to many people. Not quite as famous as others, but I'm sure he gave an enormous energy and light to the world that we cannot truly measure. As said, there are real GURUS, but veiled to the outside world. I will try and get the pictures Avinash although as these gurus are not that well photographed, it would be difficult to get the pictures. Can you give your analysis of this picture of Asaramji Bapu? So if you can analyze and explore the things .It would be great. This is pyare satguruji's blog spot...Please find the pics here. Or search in images for asaramji bapu ..i m sure u will have atleast one for u. Will check it out and get back. I did a quick check. As you said, photos of his hand are available. Usually I work from many pictures, and luckily there seem to many available. However I did not get to know whether he is right handed or left handed, in the sense which hand he writes with. There were no photos of his writing. This is important because the right hand gives information about his current state of mind. Please try and find this out. Thanks. If you are talking of asaramji I have already read his hand on this blog and quite recently. If the ordinary persons can decide which Guru is better and can shortlist the list of Old and new Gurus and finalize who is the best than in my view that fellow have more wisdom than all these Gurus and he doesnt need the Guru at all because what he will gain from the person from whom he is at higher level and able to make the judgement.about him. Hi Nita. 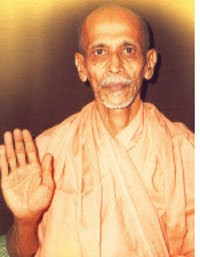 Do you have reading of Avdhoot Baba Shivananda. Thanks !! No Reena, I have not heard of him. If you have some photos of his hand or person do send them to by email! Deepa, if photos of the hands are available I can do the reading. I did a quick check and there are no photos of the the first guru you mentioned, not on the net. About the other, I saw a few. I will see if it is possible to see the shape of the hand and lines and if it is, then I can read the hand.